Glued like many Americans, we have been deeply engrossed in the 2012 Olympic Games which happened in London. While the games were the best entertainment and definitely provided a lifetime opportunity to cheer for favorite athletes, the Olympic Games has offered lessons for small-business and entrepreneurs about the do’s and don’ts of using social media. As soon as the games had begun, social media grasped the focus of attention for reasons being right or wrong. Athletes have been kicked off teams for posting offensive tweets. Twitter wars were declared between athletes and attendees had started online riots over VIP seats that weren’t occupied. 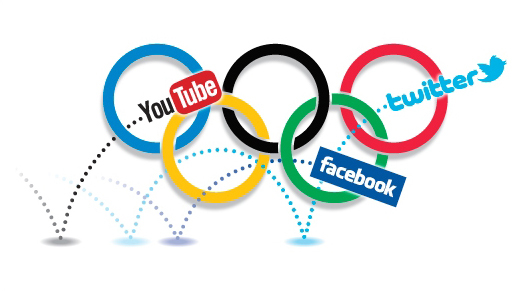 These gave us a lot to learn about Olympic social-media. Below mentioned are some points which we can take as a lesson for running our small business over social media. The marking incident: A soccer player from Switzerland and a triple jumper from Greece were chucked out from their respective teams for posting offensive tweets. The lesson that we get to learn is we should think before we tweet, because its really unpredictable as to what you may get to read as a reaction from other tweeters! We should always remember that tweets are a true reflection of our brand. Whoever is maintaining your corporate account should always think before tweeting because they speak a lot about your organization and brand. The case study: People who were unable to get tickets to the Olympics were upset when most of the seats went unused. Twitter was the best forum to voice their annoyance and frustration, forcing organizers to address the issue openly and in public forum. The lesson we learn: It doesn’t matter whether you are big or small in the industry you always need to be proactive to your customer’s reaction. Businesses have to remember and understand one point that social media is being transparency, there is no scope for you to hide or suppress anything. To handle an irate customer the best thing is to tweet publicly and let them know that you are aware of their situation and are trying to address the same. A noting incident: U.S. Women’s soccer player Hope Solo declared a Twitter war abusing Olympic commentator Brandi Chastain, condemning her for comments she made during one of the matches. An incident: Australian swimmer Emily Seebohm didn’t win gold medal and put the entire blame on social media, stating that her performance was not up to the mark because the hype on social media. We here learn that brands have to remind that businesses should control their presence on social media, if anything goes wrong you should never blame it on social media instead use that opportunity to justify your reason for failure and your strategic move to improve your performance. As social media is the most happening thing at the present times, it’s the best forum to speak out about anything anywhere. Most of the times it might happen that people critise more than appreciation, so it’s very necessary that you keep your cool. Your reaction or your organization’s take on the comments speak a lot about the overall image of the company. Although there have been negative tweets and wars over social media players have managed to use these criticism as well. Athletes attitude prove a model for a small business. Always stay positive, be a spontaneous leader and try to engage with your audience. Your presence and attitude marks a huge impact on your image.